While it’s hard to choose favourites, Ben Johnston has been one of the collaborators we’ve most enjoyed working with over the years – he always comes to us with interesting projects and design challenges. We love the range of formats Ben explores and to celebrate his curiosity and craft, we reached out to learn a little more about his process and inspirations. Born in Canada and raised in South Africa, Ben studied industrial design and did a stint in the agency world before settling into his own freelance practice. Locally, he’s blown up – his murals and branding can be found all over Toronto; Ben also recently received an armful of industry accolades, this year he’s already racked up Applied Arts Award for logo and mural design, and Print Mag and Communication Arts awards for typography. Ben expresses his signature stylized and hand-crafted lettering in many mediums, one day he’ll be perched in a cherry-picker painting a mural and the next he’ll be in a wood shop inspecting a cut list for a signage project. 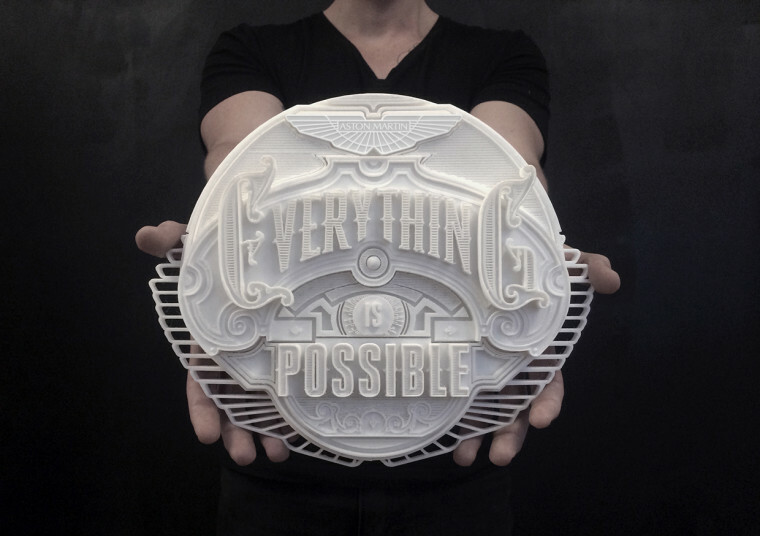 We first worked with him on a 3D printing project in 2014 and have had the pleasure to collaborate on several subsequent projects. “I think everything from what I learned in school my dabbling with graffiti contributed to what I’m doing doing today,” writes Ben. 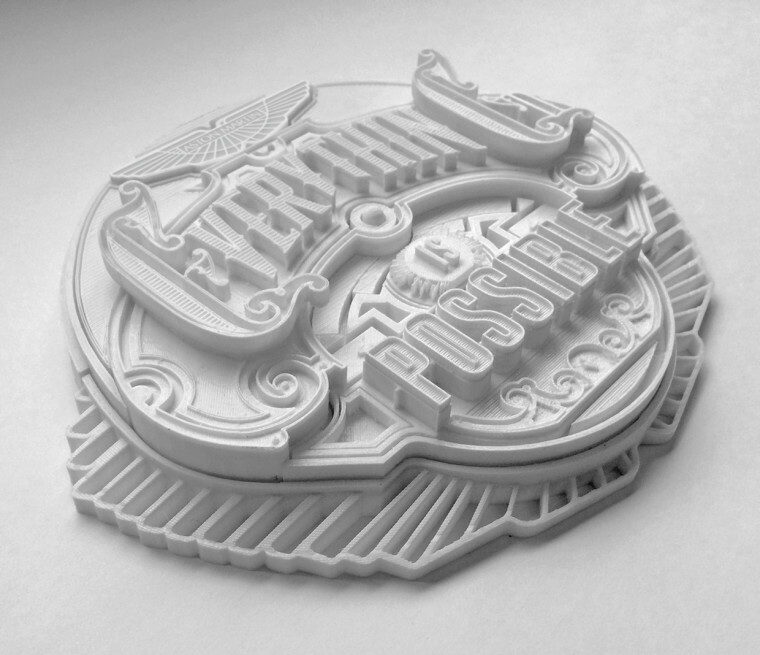 “It’s been a fairly organic progression, inspired by the constant need to experiment with new techniques and work across mediums.” As mentioned above, our first collaboration with Ben was in 2014 when we worked with him on an ornate 3D printed plaque that he made for Aston Martin Magazine. 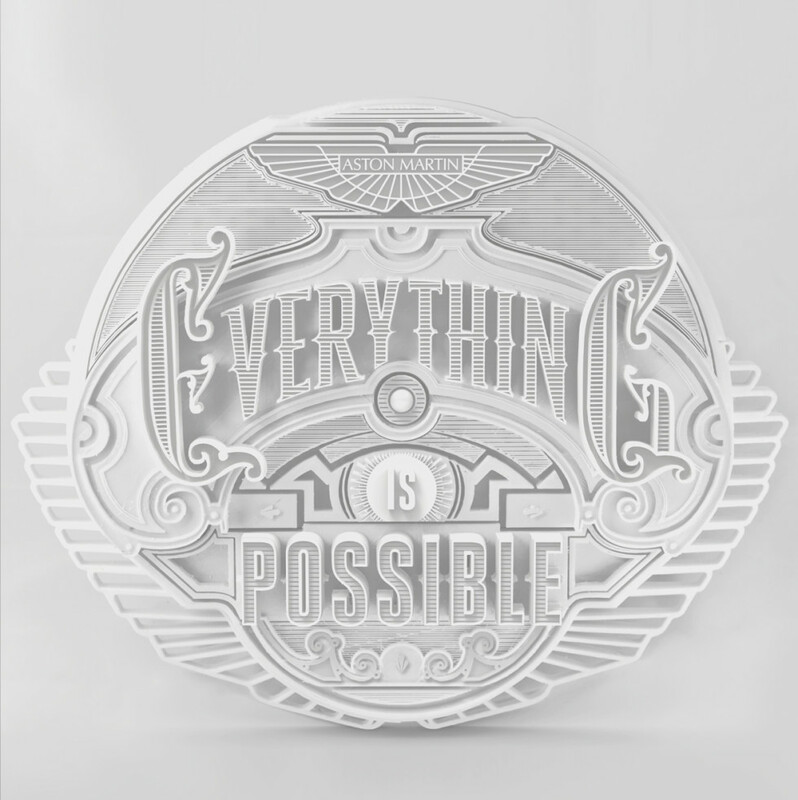 Enthusiastically reading ‘Everything is Possible’ in relief, photographs of the print provided a visual testimonial to sit alongside an article on how 3D printing has revolutionized automotive design. 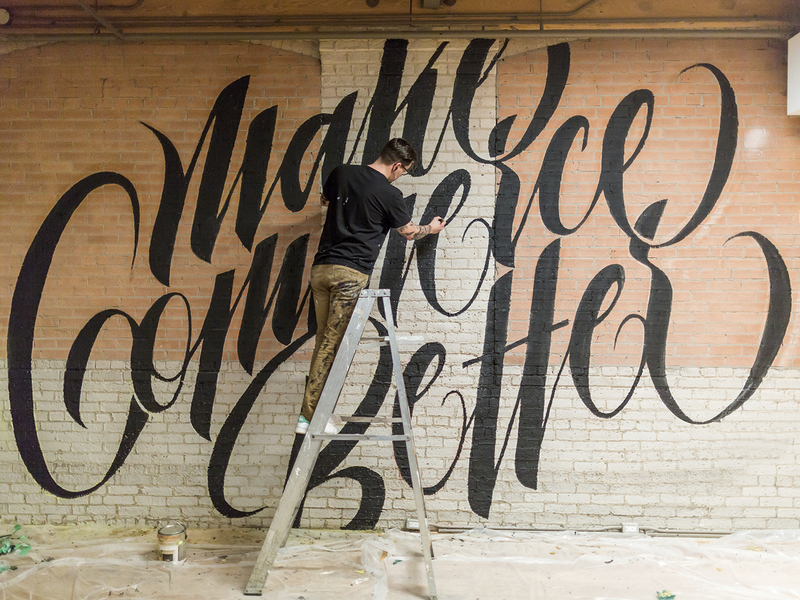 In our other collaborations with Ben we’ve seen him come at type from several angles. 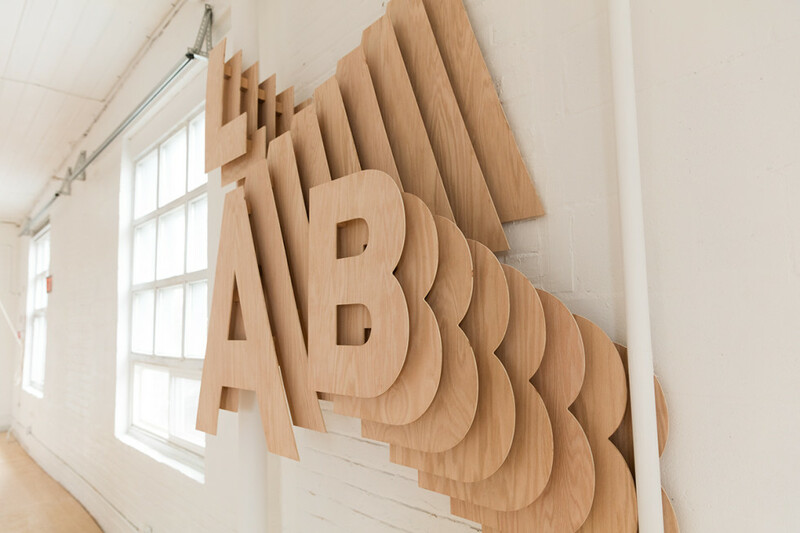 He’s explored both laser engraving onto wood (from signage to skateboards) and lasercut letterforms out of Birch plywood, making his flowing ligatures sculptural. “I find it important to keep an open mind when approaching new projects, and to work outside my comfort zone to create the best results.” And this open-minded approach has yielded some pretty spectacular results, we think; in moving beyond the page and screen-based design most folks working with type limit themselves to, Ben’s opened up a whole world of material exploration. When asked about what the future holds Ben thinks big: “I definitely want to get into more installation and sculpture work down the line. I’ve enjoyed creating massive murals, so it would be interesting to see how those would translate into 3D.” It undoubtedly will be, and we think the 3D work he’s done thus far foreshadows many big, bold, and beautiful letterforms that are yet to come. 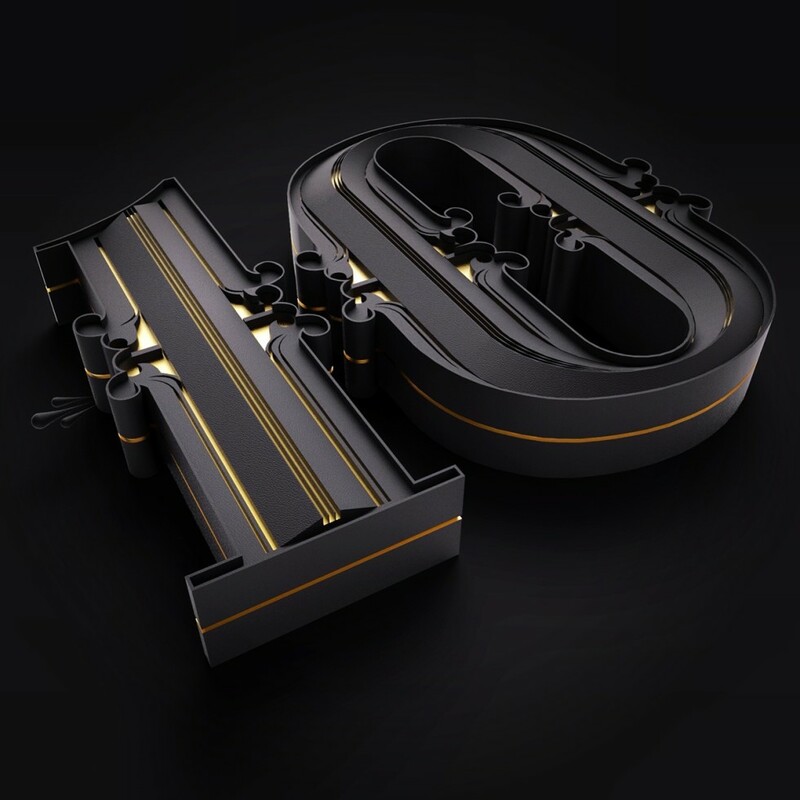 Want to take the plunge and make your graphic design work 3D? Get in touch, we’ll be more than happy to help you translate your ideas into physical form through 3D printing, laser cutting, or laser engraving.